What is the difference between scattering sound and diffusion of sound? Are Diffusers Programmable? The simple answer is as follows. Half, quart or third round devices or objects individually just scatter sound. A single barrel diffuser or tube radiator as I often call them just create a very uneven distribution of sound. As single units, it gives about the same amount of performance as placing a flat object of the same size and placing at a 15 to 35 degree angle on a wall. When using barrel diffusers in various sizes and/or in spacing varying from 0 to 30 inches and apply them to all of the walls in a confined space, you are creating a diffusive field. You’re turning the church walls into a phase coherent sound field – like churches of yester year built between the 1400’s to 1700’s. 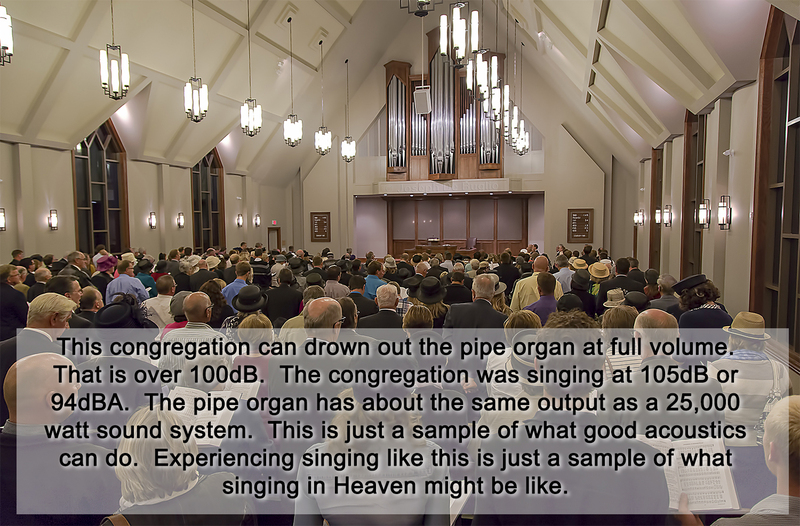 When barrel tubes are used as a system you can program them to only manage the acoustical problems you want to get rid of and at the same time create a more desirable sound field like real reverberation that is musical and supportive to congregational singing. Barrel tubes spaced too far apart just scatter the sound and reduces some bass but does nothing much else. Instead, you can program the diffusers to manage standing waves, bass buildup, notch a frequency or two and equalize a room. You can also program them to lower stage noise, manage monitor spill into the audience and improve congregational singing. They can also be programs to make the sound system perform better. The software to program barrel diffusers is still in development. In the meantime, a test room, and a data base of real world testing is the best way to predict the final outcomes. Try and program a digital EQ to cut 350 hertz 40dB. It can be done but it sounds awful. When you program tube radiators to cut 40dB, it sounds sweet. Posted in Church Acoustics | Tagged: acoustics, air, Altar, Amplifier, Architect, barrel Diffuser, Bible, block, brick, Cathedral, Church, Church acoustics, Church sound, church sound system, churches, Digital, digital mixers, drywall, EQ. Equalizer, Equalizer, Former Catholic Church, glass diffusers, Hearing, Passive acoustics, Programming, Software | Comments Off on What is the difference between scattering sound and diffusion of sound? Are Diffusers Programmable? What does a Stone Mason and a Church Acoustics expert have in common? Would you know if the best person to do a job was a person from your church or church community? What if that person was one of the most skilled persons in the world for that service? Would you know it and would you hire them? Would you rather hire someone who is worldly, charges huge fees, who give the best sales pitch over someone who is better skilled, who charge less because they want their work to be accessible to any church, not just churches who can afford the big buck and the hype? Is it possible for a Christian to be the best in world at something else other than being a Christian? Hope you enjoy the true story of a Stone Mason. Are Churches growing or shrinking? Being in the church sound and acoustics business for over 33 years, you get around enough to see firsthand if the church community is growing or shrinking. After all, when all of your income comes from providing a service exclusive to the church community, you would want to know if your services will become obsolete or not. The question stands, is the church community growing or shrinking? The short answer is – – – – the church community is growing and church attendance is growing. 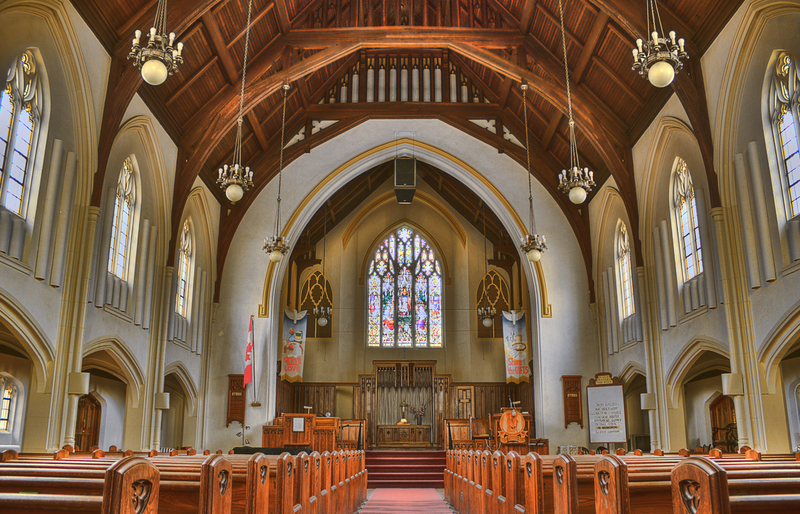 Churches for the last 100 years have been growing on average about 10 to 14% every year. That is the good news. Unfortunately, that 10% growth annually is not the same as 10% of the population. It seems that sometime around the mid 1970s the population started to grow in North America (and the rest of the world for that matter,) at a fast rate than what the church was growing. In order for the church to grow at the same rate as the rest of the world, the church would have had to grow up to 25% annually. So while the number of Christians in relationship to the total population is declining, the church continues to keep growing. What also makes it harder to keep track of church growth is the number of breakaway churches that leave the umbrella of the denominations where church growth is not often recorded to any national data base. In my work, I get to see both denominational churches and independent churches. At the end of the day, it seems that there isn’t much differences between them. Many people who were part of denominational churches often leave to get away from the institutional, the bureaucracy, the rules, the regulations and static growth burdened by years of complacency. The problems I am hearing from people who have been going to these larger “growing independent churches” is that after a while, they complain about the same institutional, bureaucracy, rules, regulations and push for more growth burdened by years of complacency. The difference is that they are inside the same bureaucracy that they left years ago and often don’t realize that they are now the cause of why people are leaving the independent churches are starting unsupported breakaway churches. Who is keeping track of those numbers? Then there are the non-registered home churches that are out there. There are thousands of them that average about 12 people each. Who knows how many of these groups are there but, at the end of the day, overall statistics pegs church growth at 10 to 14%. That is good news. Will the “church” ever be more that 10% of the population again? Most likely not. Posted in Church Acoustics, Church Sound Systems | Tagged: acoustics, Architect, attendance, barrel Diffuser, Bible, block, Box Store Church, Church, church growth, growth, independant churches, institutional churches, mega churches, super churches | Comments Off on Are Churches growing or shrinking? Do you have an echo problem? We have a fix for that! Do you have a reverberation problem? We have a fix for that too! Are you struggling with your sound system? We have a fix for that as well! Having problems with your rectangle shaped church? We have a solution for that! Having problems with you round church? We have a fix for that! Having problems with you octagon church? We know how to fix those too! Having problems with your fan-shaped, oval-shaped or square church? We have custom solutions just for you! Are you not happy with your commercial warehouse, storefront or converted mall space church? We know how to fix that! Have you already fixed your acoustics 9 times before and your still not happy? 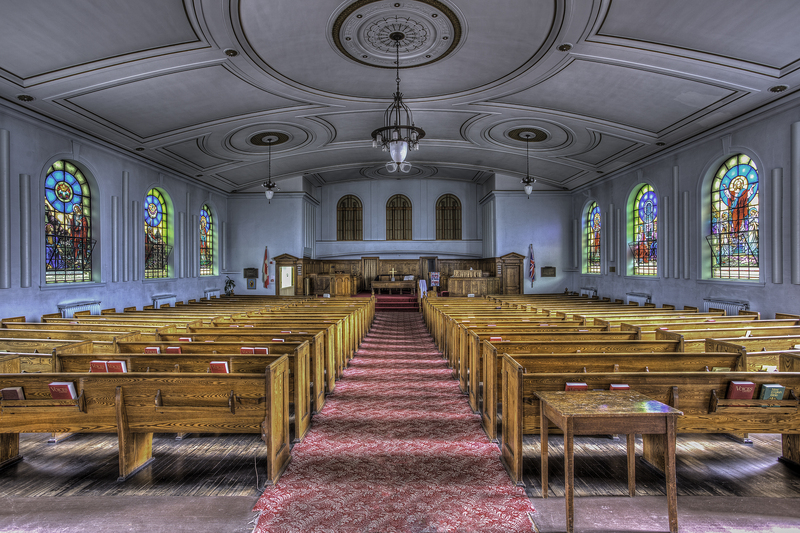 We can fix any church that is absent of any acoustical planning and treatment. 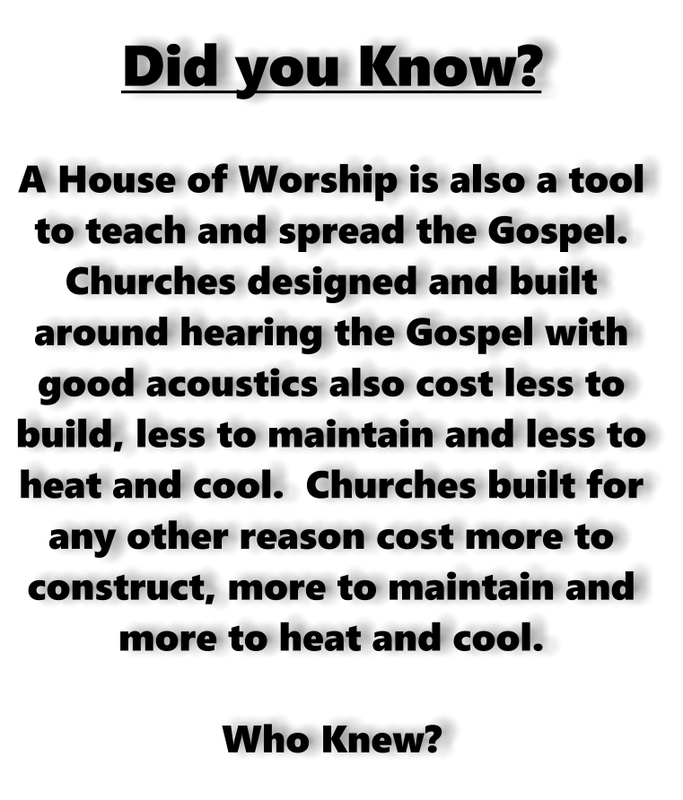 We can also diagnose and fix any church that has the wrong acoustical treatment to get it back on track. Churches are not temples but they are dedicated as worship centers and houses of learning. For worship and learning, you need tools. One of those tools is acoustics. You need a system of managing the air between the teacher and listener for the best worship and learning experience. While a sound system is also a tool it cannot manage the air. It relies on acoustics for it to work. The better the acoustics, the more effective a sound system is. Without the right acoustics, what are you really hearing or understanding? Apparently it is true. At a recent church meeting where a 160 year old Roman Catholic Church is being restored, the acoustical treatment that I designed will also help to preserve the walls behind it. The acoustical panel will carry current and future artwork while the walls behind the acoustical system will be sealed. With no paint going onto the walls, the existing brick and concrete will no longer be degraded by the chemicals in the paint. This could be the first time where acoustics, Church Iconic Art and preservation are combined together. According to the restoration company, this approach could double or even triple the cycle between major restorations. The church has already been partially treated for sound acoustics and the improvements have convinced church leaders that the rest of the room should be treated as well. For this church, no absorption is being added. Only diffusion is being added to create a phase coherent worship space. The restoration company thinks that adding acoustical treatment system an affordable way to extend the cost of the restoration and it will give better results for hearing and the sound system performance. Is Social Media and Sermons on YouTube or Web Streaming replacing the need for good sounding worship spaces? Over 120 Cardboard Tubes custom made order and placed around the room in 8″ 12″ and 16″ half rounds. Between 120 to 800 hertz removed 18 to 22dB of excess energy. This change allowed a single speaker system to cover a whole room 134 ft long. Throw distances from speakers to back wall, 98 ft. Contractor who installed the system was surprised at how well this sound system worked and how much the room changed. Contractor suggested delayed speakers before the acoustical treatment was done.